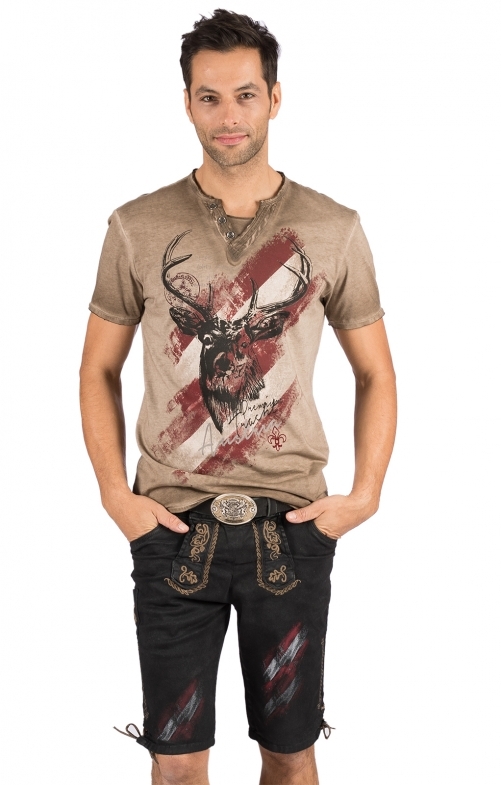 Trendy Bermuda shorts in traditional look for men. The shorts in Bermuda style in the colour dark brown are the ideal companion in spare time. The high wearing comfort of these Bermuda shorts with the decorating traditional elements such as the embroidery in the colour beige on the waistband and on the sides convince with every step. These shorts with the red and white stripes on the front thighs from our online shop fits perfectly in the summer with traditional shirts and short-sleeved shirts.